THE DIMLUX REPLACEMENT LAMPS AND BULBS. The Philips MASTER GreenPower Plus 1000W EL UNP/60 is ideal for high greenhouses and crops with high light necessities and optimized for DimLux. This lamp has the highest efficiency in μmol/W and a superior output of 2100 μmol/s. 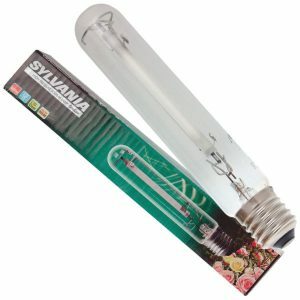 The Sylvania Grolux HPS bulb was designed specifically for greenhouse supplementary lighting. It has increased blue light and the highest PAR rating. The DimLux Daylight CMH 315W 3k Agro is a full-spectrum lamp with extra red light. Overlaps the entire PAR spectrum of Plasma with more than twice as much flowering light. Efficiency 1.9 μmol per watt. DimLux Daylight CMH 315W 4k Agro. The DimLux Daylight CMH 315W 4k is a full-spectrum lamp with extra blue light. Overlap the entire PAR spectrum of Plasma but with more than twice as much flowering light. Efficiency 1.9 μmol per watt.